The locomotive fleet at Stradbally has a distinctly local flavour with four of our six locomotives having worked in Industry within County Laois for Bord na Mona or the Electricity Supply Board before coming to Stradbally. Our fleet was built between 1936 and 1980, three locomotives are currently in use on a regular basis, two are under restoration and basically serviceable needing small jobs such as repainting and electrical work completing, the final locomotive to arrive Ex ESB Allenwood is a longer term project.The only locomotive not currently at Stradbally Depot is No.15 which is now retired and is on display at the Steam Museum Stradbally. The pride of our Fleet, built in Caledonia Works Glasgow by Andrew Barclay in 1949 works number 2264 for Bord na Mona. Along with sister engines No.1 and No.3 it worked on the Clonsast Railway of Bord na Mona near Portarlington hauling wagons of sod turf from bogs into the Power Station from new until withdrawn in April 1953. Replaced by more fuel efficent Ruston Diesels its was however retained serviceable for many years amid fears of disruption in oil supplies after the Suez Crisis in 1956. By the start of the 1960s the three Steam locos were forlorn abandoned at the steam sheds at Cushina until it was preserved by the Irish Steam Preservation Society at Stradbally in 1969. At the same time the Society purchased sister locomotive No.3 (LM45) which now runs at Giants Causeway and Bushmills Railway Co. Antrim. No.2 entered service for the 1969 Stradbally 4th Annual Irish National Steam Rally and for over 30 years successfully at Stradbally until the original boiler reached the end of its life and replacement was required in 2002. It received a brand new boiler in 2009 from Israel Newton in the UK and re-entered service in August 2009 at a cost of €85,000. No.2 also carried the number LM44 with Bord na Mona in its LM locomotive number series which still is in use today with new build locos now up to LM442 and the original number plates were refitted in October 2010. It is currently in service at Stradbally working most scheduled public passenger trains each year. William Spence 0-4-0 1ft 10 gauge Tank engine No 15. The Irish Steam Preservation Societies original Steam Locomotive. It was one of 18 built to serve in the extensive 1ft 10 gauge railway in the Guinness Brewery at St James' Gate, Dublin. She was the last of the 3 strong batch to be delivered in 1895, built by William Spence of the Cork Street Foundry and Engineering Works in Dublin. She despite her size was a very powerful engine, having 2,900 lbs of Tractive effort, just under that of a Bord Na Mona Ruston and Hornsby Diesel. The Unusual Design came about because of the Failures with the previous designs of Conventional locomotives that were in Service, usually related to dirt getting into parts on the motion. The New design, the work of Dublin born Samuel Geoeghan who served in the great Doncaster Locomotive Works in England cured these faults by mounting the cylinders on top of the boiler and this eased maintenance in the small confines of the the line. These engines also worked 5ft 3in tracks with use of an adaptor wagon, called "Haulage Wagons", on a line was built between St James' Gate and Kingsbridge Station(now Heuston). They were well able for the work, being able to move 13 broad gauge wagons unassisted. They were finally displaced by Diesels in the 1950s and we received No 15 in 1966, which was steamed and mounted on blocks, acted as a Sentinel on the gate of the Rally that year. Over the next two years No 15 ran a public Service along a 50 yard stretch of track with several small trucks which also came from the Guinness Factory, one of which was preserved along with the engine in the Museum. She was replaced when No 2 became available for purchase and because she wasn't suitable for the line's tough gradients and the track played havoc with the tramway style wheels. She has remained in the Museum since, all that would be required to restore her to working order is a retube, oil to free up the cylinders and regulator gland and re-lathe the wheels. 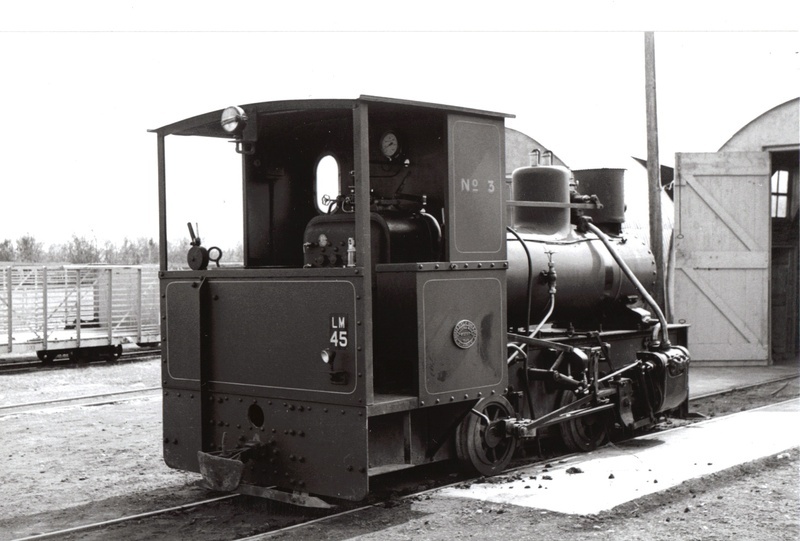 It would be possible for this locomotive being restored to a steamable condition but it would have to run on a separate line or to build a 3ft adaptor wagon, similar to what the locomotive was originaly built for but for the Narrower 3ft Stradbally gauge. There is some controversy about her true identity. Most railways identified Locomotives by their frames, where as Guinness went by the boilers. No 15 currently carries the Boiler of No 22, now preserved in the Cavan and Leitrim railway which is missing both a boiler and cylinders. 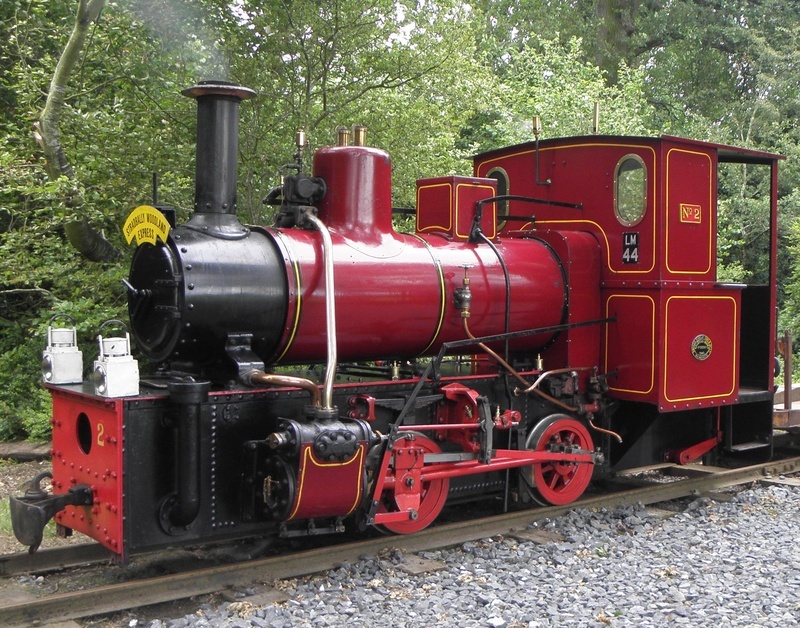 Other survivers include her "Batch Sister" No 13, currently in the Tywyn Wharf Station Museum in Wales. No 17 preserved at St James' Gate along with one of the Planet diesel Replacments. And No 23, along with an Adaptor Wagon in the Brockham Museum in Surrey. No 20 currently resides in The Ulster Folk and Transport Museum in Cultra, Belfast. 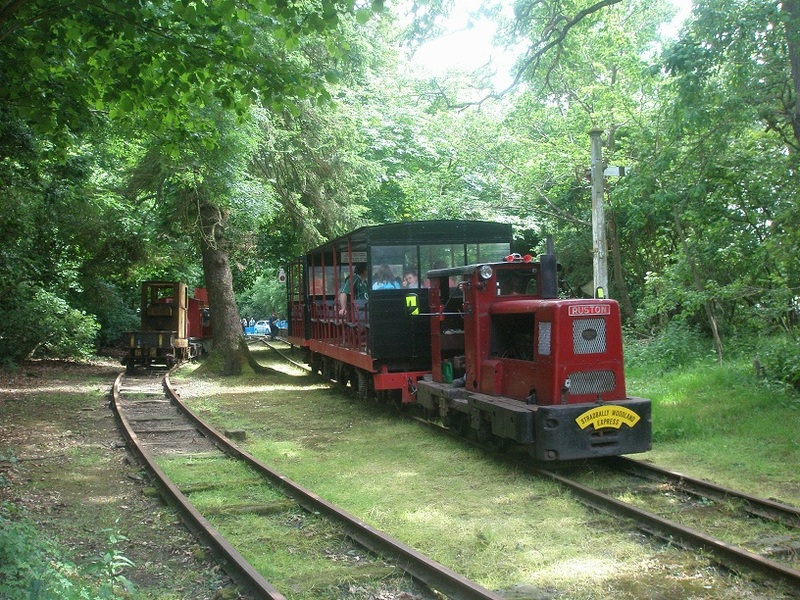 No.15 can be viewed at Stradbally Steam Museum a short distance from the Railway Station at Stradbally. No.4 affectionately known as "Rusty" was built by Ruston and Hornsby in Lincoln UK in 1952 works number 326052, it is a 48DL type. It was purchased new by the Electricity Supply Board for their Portarlington Power Station. Built new with a 4 cylinder Ruston 48HP engine by the 1980s it was in poor repair and in 1982 it and several sister machines were re-engined with Lister HR6 power units. This is the engine it carries to the present day now delivering approx 60HP. It came to Stradbally upon closure of ESB Portarlington in 1986 and has proven to be an exceptionally able locomotive hauling passenger services and ballast and track material trains. From 2002-2009 No.4 was the main locomotive on the railway working all passenger services from October 2002-July 2009 with not a single failure, not many locomotives can boast a record like that! With the return of No.2 "Rusty" has returned to ballast and other duties but still works passenger services when required or requested. "Nippy" is the oldest locomotive at Stradbally. 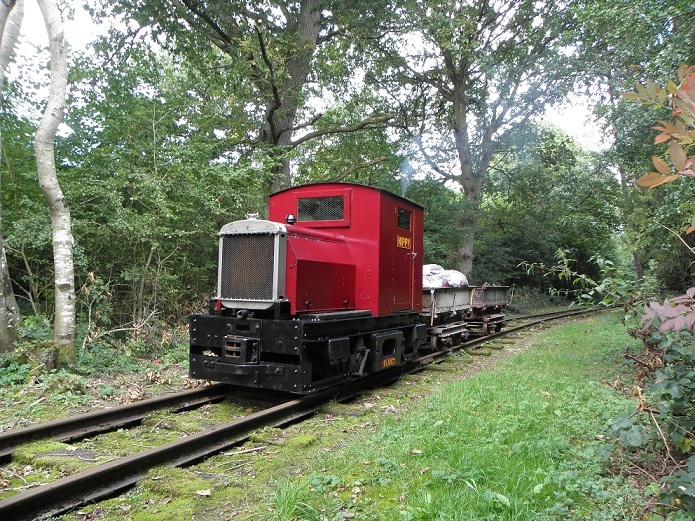 It was built by F.C Hibberd in London works number 2014 in London in 1936 and is a Planet type locomotive of 20HP and spent its working life at Mines Safety and Research at Buxton in Derbyshire UK. It was later preserved and ended up moving to Shanes Castle in the 1970s. In 1986 "Nippy" was surplus to requirements at Shanes Castle and along with the vehicle that was to form the brake van moved from Shanes Castle to Stradbally in 1986. Since coming to Stradbally "Nippy" has mainly worked ballast and rail trains for which its low gearing is perfect for. It has also spent some time working passenger trains double heading with Rusty in the late 1990s and very occasionally by itself hauling a short formation of just the brake van. Today it is the oldest operational diesel locomotive in Ireland and can be seen in use on special occasions. 2013 sees it celebrate its 77th birthday! LM167 is a Ruston and Hornsby 40DL locomotive. It was built in 1956 works number 402978 for Bord na Mona. It initially worked on the Derrygreenagh system supplying peat to Rhode Power station. In 1973 it relocated to Coolnamona just outside Portlaoise where it worked up until 1998. In this period its Ruston engine was replaced by a Gardner 4LW power unit. After withdrawal in 1998 it lay abandoned and disused until purchased with other redundant vehicles by the Irish steam Preservation Society in September 2010 and donated to the society. Restoration has commenced as volunteer resources permits and a huge breakthrough was made on April 25th 2011 when its Gardner 4LW engine was started successfully for the first time in preservation. The locomotive performed well during subsequent testing and moved under its own power in both directions. LM167 will hopefully progress in the future to be a fully operational locomotive and replace "Nippy" in the operational fleet as a second ballast loco assisting No.4 "Rusty". LM317 is a Simplex 60SL type locomotive works number 60SL742. It was built in Bedford UK in 1980 for Bord na Mona. It worked on several Bord na Mona Systems in South Kildare at Ummeras and Kilberry before moving to Coolnamona outside Portlaoise in 1998. It remained in use until 2005 and became the last Simplex locomotive to be used by Bord na Mona. This type of locomotive design dates back to the 1930s, this batch were quite rare for Simplex in being fitted with Lister HR4 engines in place of the more usual Dorman or Deutz type. Again restoration has been carried out as time permits. The transmission was repaired over the Winter and on April 25th 2011 its engine erupted into life becoming the first Simplex loco to run at Stradbally. More work is needed on the transmission and bodywork areas over the coming months. Two sister machines currently operate in preservation, LM348 at Waterford and Suir Valley Railway and LM350 at the Cavan and Leitrim Railway at Dromod. This Ruston and Hornsby locomotive was built in Lincoln in 1950 works number 300518. 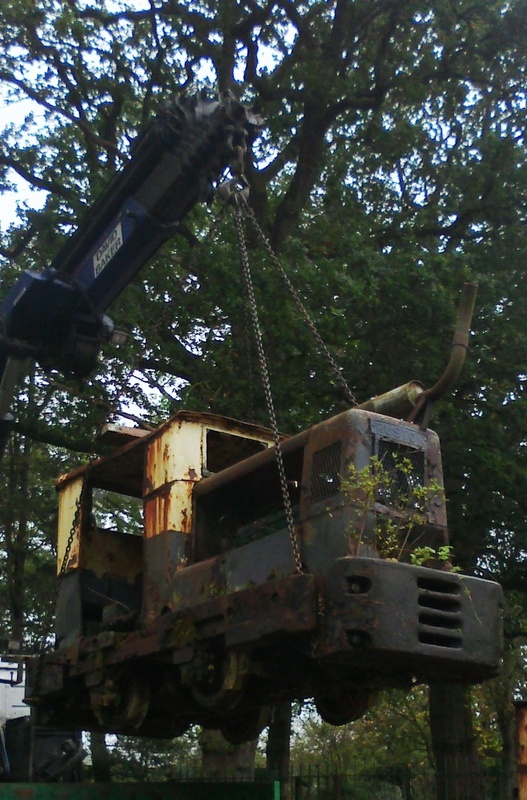 Supplied new to the Electricity Supply Board for their Allenwood Power station it spent its working life at Allenwood. Along with the other 3 Rustons built for Allenwood it was re-engined in the 1980s with a modern Lister HR6 engine in place of the original Ruston Engine. In this form it continued to give sterling service until 1994 when the fleet was withdrawn upon closure of ESB Allenwood. Along with sister locomotive No.2 and a 1946 built Ruston No.1 transferred from Portarlington after closure of that Power Station was retained at Allenwood after closure for a heritage railway venture on the remaining rail system at the site but sadly this never took off and the locomotive was offered along with No.1 and No2 to Stradbally Railway in 2003. At that point in time the Society was preoccupied with the efforts to re boiler the steam locomotive at Stradbally and there was no secure storage area to take such a locomotive at Stradbally. 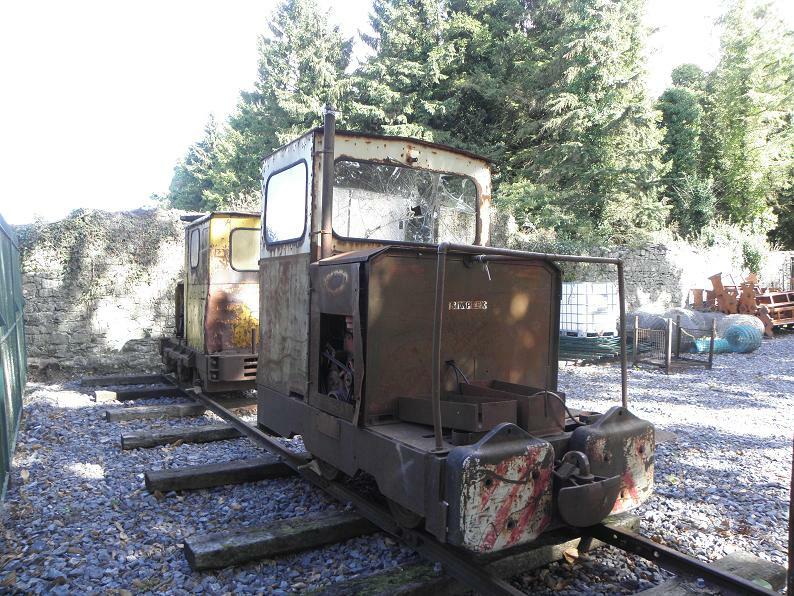 In 2011 it emerged that three Allenwood Rustons feared scrapped having vanished from the former power station site in the mid 2000s escaped the cutters torch having been bought by the Irish Narrow Gauge Trust for preservation. A deal was struck for locomotive No.4 to become part of the Stradbally Railway fleet in Co.Laois with Hunslet locomotive 2280 leaving Stradbally for a new home at Dromod Co.Leitrim in October 2011. No.4 arrived at Stradbally Depot on 10th October 2011 for restoration. Unusually for a small fleet of "non standard" locomotives, the fleet of ESB Ruston locomotives have seen a very healthy survival rate, of the Allenwood fleet of 4 locos, No.1 is at Whitehead in Northern Ireland being overhauled for Fintown Railway, No.2 is stored near Clonbullogue for the Irish Narrow Gauge Trust, No.3 is privately owned at Rathvilly Co.Carlow with No.4 now at Stradbally. Of the Portarlington locos, No.1 is stored near Clonbullogue for the Irish Narrow Gauge trust, No.2 and No.3 were scrapped in 1996 during the clearance of the Portarlington Power station site while No.4 moved to Stradbally in 1988 for preservation where it is currently in service. Lanesborough A Power station which closed in 1983 also had 2 Rustons, this time small LBT types both these transferred to Portarlington in the mid 1980s and one of these survives preserved by Bord na Mona at Blackwater works near Shannonbridge. The locomotive came to Ireland and is believed to have worked in the Avoca Mines before passing to Irish C.E.C.A at their works at Allenwood Co.Kildare. Here the locomotive was used to haul wagonloads of sod turf from the ESB exchange sidings at Allenwood ESB Power Station across the road into the premises. In 1972 the locomotive was purchased by Irish Steam Preservation Society and moved to Stradbally. The loco was used for a short time but it proved unable to cope with the work on offer and suffered a failure after relatively little use and was withdrawn. It has spent most of its life acting effectively as a buffer stop on the siding until a meeting between ISPS and members of the Industrial Railway Society resulted in an exchange between both groups which took place on October 10th 2011 with the Hunslet moving to the Irish Narrow Gauge Trust at Dromod to join their collection. A former ESB Ruston locomotive moved in the opposite direction to Stradbally in return. Appropriately the locomotive which replaced 2280 at Irish C.E.C.A Allenwood another Hunslet works number 6075 has also been preserved at Dromod by the Cavan and Leitrim volunteers. It will be great to see both these historic locomotives restored in the fulness of time. This locomotive is currently in storage in the ownership of the Irish Narrow Gauge Trust and moved to the Irish Narrow Gauge Trust at Dromod in January 2012 for restoration. LM 45 was one of a trio of Steam locomotives built in 1949 by Andrew Barclay for Bord na Mona for use on their railway network serving the bogs of the Clonsast system near Portarlington. The locomotives were not well suited to the hostile environment of the Irish bog, poor water quality led to inadequate steaming and the heat output of the turf was so poor that often the first two wagons of a train would end up in the firebox during the journey to Portarlington! The locomotives were largely retired in 1953 but their boilers were certified in 1955 for use during a spike in world oil prices and it is thought one locomotive may have seen use during this period. LM 45 along with sisters LM43 and LM44 were stored at Cushina Shed until all three were bought for preservation in 1969. LM43 emigrated to the Tallylyn Railway in North Wales where it was dismantled and incorporated into a new build locomotive, LM44 was bought by the Irish Steam Preservation Society at Stradbally where it returned to working order in 1969 and is still in service on passenger trains today, LM45 was also purchased by Irish Steam Preservation Society along with LM44, it was stored in Stradbally until 1971 when it was sold to Lord O'Neill and moved to his railway at Shanes Castle in Antrim. Way back in 1971 this Wickham railcar was purchased by Stradbally Railway. It has latterly worked for bord na Mona on the Timahoe System in North Kildare. It was a prototype car type 4S/BB. The main use of these vehicles was to transport the Bog Foremen out to supervise worksites. Fitted with a JAP 600cc petrol engine and a car gearbox it was terribly lively on the track and many of these vehicles ended up on their roofs in the bog. C39 worked as transport to help the extension at Stradbally progress in the 1970s but its speed made it highly unsafe, problems with its gearbox sealed its fete and thereafter it lived in the back of Stradbally shed for many years. A heavy shunt from Steam loco No.2 in the late 1970s seen the vehicle dismantled, the chassis was removed from the track and ended up being used as a barrow in a garden in a house at Stradbally while the body languished behind the shed until site clearance for the new loco shed in 2010 seen it finally sent for scrap.